As we said in our guide on How to Get Basic Business Software, Microsoft Office is the standard when it comes to desktop software applications. However, you may want to use alternatives in lieu of or in combination with Microsoft Office licenses to significantly cut down software costs, utilize old PCs or existing Apple products, or make collaboration and file-sharing easier. The following alternatives offer similar functionality to the applications included with Microsoft Office. Each alternative is recommended for a specific purpose or office setup. Although there are many types of freeware and cloud apps on the Web, we’ve detailed the most popular options and explained who should use them. Apple iWork is a desktop application suite that works only with Mac OS. The most recent version of the software is Apple iWork 09, which includes Pages (word processing), Numbers (spreadsheets), and Keynote (presentations). 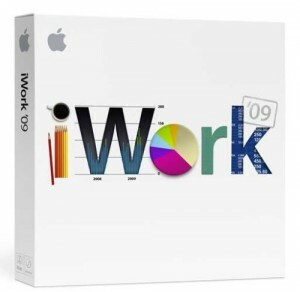 We recommend Apple iWork for business owners who want to use a Mac computer for business and save significantly on the cost of basic software. If your primary business computers are Macs, or if you’ve got an existing Mac that you’d like to use for business purposes, then you should consider using Apple iWork as an alternative to Microsoft Office. iWork is significantly cheaper than Microsoft Office. You can get Apple iWork 09 for about $80 from Amazon.com or Apple.com, while Microsoft Office Home and Business for Mac OSX goes for about $215 on Amazon. Unlike Microsoft, which gives you the option to purchase either the entire Office suite or standalone applications like Word or Excel, Apple only offers iWork as a bundled applications suite. Unlike Microsoft Office, iWork does not let you open files created in the current software version with an older version, which will limit your ability to share documents with users of the older versions. However, you can open files created in older versions with the current software without any issues. Pages 09 can open Microsoft Word files, and Numbers 09 can open Microsoft Excel files, but you might lose formatting. Apple Pages 09 offers feature-rich word processing, along with intuitive graphics features. Pages now offers even more variety with 40 new templates, including stationery sets and a variety of newsletter designs. However, the software may lack some functionality when compared to Microsoft Word’s formatting and layout options. Apple Numbers (the spreadsheet tool) is designed for simple calculations and includes templates for common spreadsheet functions, such as a check register and savings calculator. Numbers is not recommended as a replacement for Microsoft Excel, as Numbers is not good with Pivot Tables, which are integral for many types of spreadsheet functions. How often is a paid upgrade required? A new version of iWork comes out every year or two. You are not required to buy the new version, but it is recommended if you want the latest features. OpenOffice.org, commonly known as Open Office, is a free, open-source application suite whose main applications are Writer (word processing), Calc (spreadsheets), Impress (presentations), Draw (graphics), and Base (databases). Open Office provides a single interface for the whole application suite, unlike Microsoft Office, which requires you to open each application separately. A business with a small, technically comfortable staff that might be inclined to use open-source tools. If your staff prefers open-source software for philosophical reasons, and can handle a continuously updated interface and less formal customer support, Open Office is a completely viable alternative to Microsoft Office. A business with older or shared computers that don’t need complex functionality. If you are using older computers or shared computers (for interns or receptionists, for example) and need only basic functionality, then Open Office might work for you. Business owners who want to save significantly on the costs of basic software. The great thing about Open Office is that it’s completely free, and the included applications are comparable to those provided with Microsoft Office. It’s free to download the latest version of OpenOffice at OpenOffice.org. Open Office is great for sharing intra-office documents, but you may encounter difficulties when sharing files with people outside your office who are using Microsoft Office. Open Office Writer (their word processor) can open files saved in Microsoft Word or Apple Pages, but formatting might be lost. Writer gives you the option to save files as Word docs, in addition to Open Office format. Open Office Calc can open most spreadsheets saved in Microsoft Excel format and gives you the option to save your spreadsheets in Excel file format (XLS) or in the international standard OpenDocument Format (ODF). Open Office’s native file format generally creates much smaller files than similar files created in Microsoft Office. Open Office Writer offers nearly as much functionality as Microsoft Word, but users who are already familiar with Word may be bothered by the unfamiliar Writer interface. Similarly, Open Office Calc does not offer Microsoft Excel 2010/2011’s tabbed toolbars and users familiar with recent versions of Excel may encounter difficulties. Both Calc and Excel offer conditional formatting (the ability to automatically format cells based on the the data within them), but Excel offers a lot more flexibility and control. Calc fully supports the conditional formatting of Excel 97-2003 but does not support the updates included with Excel 2007, nor data bars. Also, Calc lacks Smart Art, a useful feature that allows you to easily create diagrams in a many common formats (like pyramids, cyclical diagrams, org charts, and more). Calc offers Data Pilot, which is a feature similar to Excel’s Pivot Tables (a function widely used by power users), but Calc doesn’t have an equivalent for Pivot Charts, which somewhat limits your ability to view and analyze data. Google Apps for Business is an applications suite that is hosted online and includes Business Gmail, Google Calendar, Google Docs (word processing and spreadsheets), Google Sites (project management) and more, depending on your service plan. Google Docs lets you create and view online documents, spreadsheets, presentations, and forms. You also get online storage for any type of file. Because Google Docs isn’t as sophisticated as Microsoft Office or Apple iWork, we don’t recommend that you completely replace your desktop office suite with Google Docs. Instead, we recommend using it in tandem with desktop software. 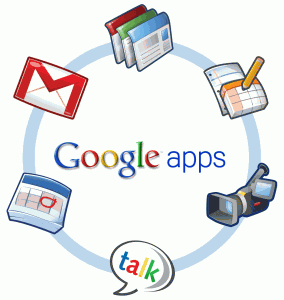 We recommend Google Apps for any of the following user types/office setups. A business whose employees frequently collaborate online and/or share files. The main benefit of using Google Docs is that multiple people can edit one document at the same time, which makes file-sharing and collaboration a breeze. Also, your document is automatically saved any time a change is made, so you don’t have to worry about losing information. Business owners who want to utilize office applications and access documents from any computer. The great thing about Google Apps is that it’s all online, and documents are stored in “the cloud.” This means that all you have to do is log into your Gmail account on any computer with an Internet connection to access all your files. Business owners who want to set up unified office email addresses (e.g. name@choosewhat.com). If you want to set up unified email addresses for all of your employees and/or business partners, check out Google Apps for Business. Google Docs is growing in popularity because it is easily accessible online from any computer, and there are virtually no compatibility issues. The downside is that it depends on a fast and reliable Internet connection. However, you can work offline by downloading your Google documents. Word documents can be downloaded as Microsoft Word, PDF, OTF, Text or HTML files. Spreadsheets can be downloaded as Microsoft Excel, Open Office, CSV, PDF, Text or HTML files. Of course, this means that you will need existing software, like Microsoft Office or Open Office, to read and edit these files. The Documents and Spreadsheets tools in Google Docs are very basic when compared to their more sophisticated counterparts from Microsoft Office, and those familiar with MS Office will likely find Google Docs lacking in formatting options and functionality. Like Apple Numbers, Google Docs Spreadsheets is not nearly as powerful as Microsoft Excel and should not be considered as a replacement when performing functions used mainly by engineering or accounting types.